Steppenwolf Theatre Company, based in Chicago, has changed the face of American Theatre. Discover the freedom, spontaneity and joy in your craft, readily available to you! A lot of actors don’t know how to apply the training of Viewpoints to the rehearsal process or text work. And that’s crucial, because beyond creating an ensemble – why do it? Here’s the thing! It can also be really useful in process – in rehearsal and auditions. The techniques of Viewpoints get you out of your head and into your body, where the truth lies. You become physically impulsive, spontaneous and passionate. When you deeply connect with others through your powerful capacity to listen, your body becomes available and present, and you cease to judge. This class is a chance for you to train like a Steppenwolf company member. It’s a perfect opportunity to get back in the room, to work in a new method of actor preparation or explore a way of unlocking what might be keeping you stuck. 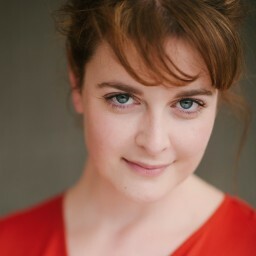 A secondary term with Julia Grace will take place later in the year, where Julia will take the ensemble through a physical rehearsal process where she plans to work on a complete play. Having taken a class with Julia in the past two years is a prerequisite to applying for this project. In the first two weeks, Julia Grace will take you through the body-based ensemble-building training of Viewpoints, based on the work of Anne Bogart and Tina Landau. In the third week, the ensemble will experience how this work can be applied to auditions and finally, in the fourth week, to scene work. There is very little preparation for this class as the emphasis is on being present, open and free. You will learn and experience the power of listening, following impulses, trusting your instincts, working from moment to moment and working off a scene partner.